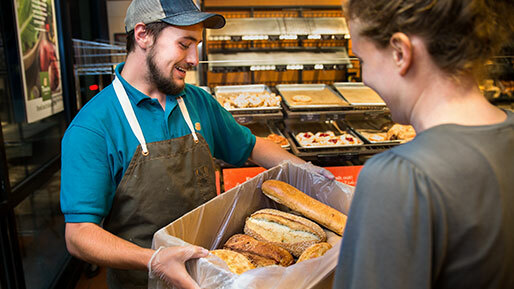 As a new subscriber, we would like to enter you in our monthly drawing to win a $25 gift card from one of Food Partners, Panera Bread. Through the Day-End Dough-Nation program, every week we receive a wonderful variety of pastries, bagels and breads. Who doesn't love Panera! Enter the Panera gift card drawing here! Thank you for entering our New Subscriber Drawing. Your name is officially added to our drawing for this month! We will contact you if your name is selected!